Chӧje Akong Tulku Rinpoche was born in 1940, in Dharak Village, in the Chamdo Riwoche area of Kham, East Tibet. When he was found, he was given the name Karma Shedrup Chokyi Nyima by the Gyalwang Karmapa, who predicted “He will definitely be of great benefit to the Teachings and to sentient beings.” At around the age of four, he was taken to Dolma Lhakang Monastery and enthroned as the 2nd Akong Tulku. Later, Akong Rinpoche went to Shechen Monastery where he met Chogyam Trungpa and many other high Lamas. There he received the transmission of the Rinchen Terdzo and Damngak Dzo from the great Shechen Kongtrul along with many other high Rinpoches from both the Kagyu and Nyingma traditions. Akong Rinpoche considered the 2nd Kongtrul Rinpoche (ie. Shechen Kongtrul Rinpoche, who was one of the Tulkus from Jamgon Kongtrul the Great) as one of his main Lineage teachers. In addition he and Chogyam Trungpa along with many other high Lamas received the pointing-out transmission from the great and highly renowned Khenpo Gangshar Rinpoche. At this time he engaged in retreat practice and also specialised in the study of medicine, both because of his own interest and because there was a strong medical tradition at his monastery. His expertise in medicine and meditation later became a major part of his compassionate activity around the world. In 1959, due to political changes in Tibet, Akong Rinpoche, Chogyam Trungpa and many others escaped to India. Soon after they arrived, Akong Rinpoche and Chogyam Trungpa made a connection with Freda Bedi (who later became Sister Palmo) in Baxa. While working for the State Bank of India in Delhi she began teaching them English, and within a year they had decided to create a Young Lamas Home School to give Tulkus from all four schools of Tibetan Buddhism a complete education, thereby enabling them to help many beings in the future. 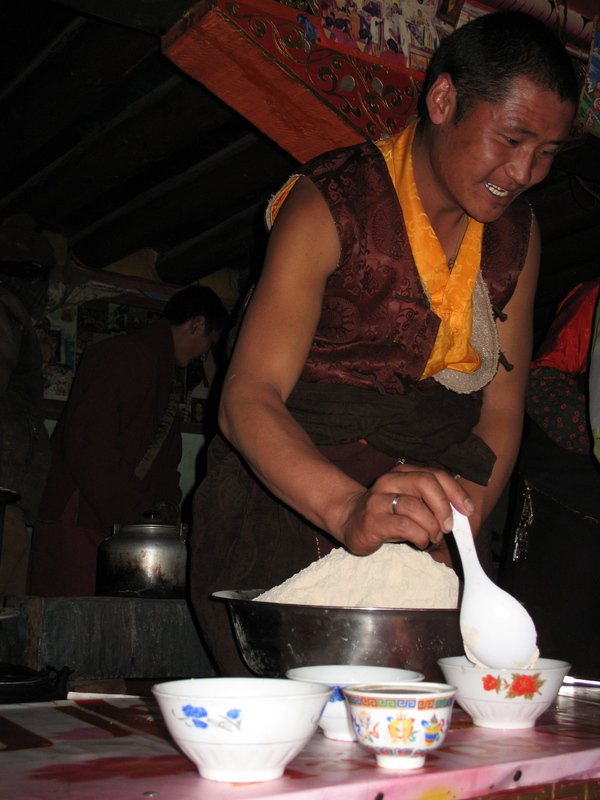 From the outset, Akong Rinpoche was very much involved in establishing and running the Young Lamas Home School. During this time, Rinpoche met many high-ranking individuals including Jawaharlal Nehru and Indira Gandhi, and also began to learn and understand Western ideas. After a few years he and Chogyam Trungpa were able to get a visa and scholarship to come and study English in Oxford in the UK. Trungpa Rinpoche was quicker at learning languages, and because the previous Akong and the previous Trungpa had been student and Lama, Akong Rinpoche chose to work to support them both. Starting out as an orderly in the Radcliffe Infirmary, Rinpoche was recognised by the hospital authorities as having exceptional skills and qualities, and was therefore promoted to working in the operating theatre. While Trungpa and Akong were in Oxford they found that many people were interested in the Dharma, so they began looking for a Centre. In 1967 they found Johnstone House in a remote area of South-West Scotland and there established Kagyu Samye Ling. After Trungpa Rinpoche left for America, Akong Rinpoche took over the running of Samye Ling and under his guidance it has grown into one of the foremost Centres for Buddhist study and practice in Europe. His experience of almost starving on the journey out of Tibet, led to his personal commitment to bring relief wherever there is hunger. In 1980 he founded the humanitarian charity ROKPA and with compassion and diligence brought over 100 projects into existence in Tibet, as well as in Nepal and Zimbabwe. These include schools for orphans, clinics, medical colleges, self-help initiatives and programmes to support the Tibetan culture and environment. Likewise, in response to the needs of the many people who came to him for help, Rinpoche created the Tara Therapy programme. Its unique methods include meditation exercises based on relaxation, awareness and compassion, combined with Western therapeutic methods such as massage, art therapy, writing and reflection. A number of Western therapists have been trained in this programme and it continues to flourish in many countries. In 1992, responsibility for discovering the reincarnation of H.H. 16th Gyalwang Karmapa fell upon the shoulders of the Regents H.E. 12th Khentin Tai Situpa and H.E. 12th Goshir Gyaltsap Rinpoche. Akong Tulku Rinpoche was the representative of Khentin Tai Situpa and, together with Sherab Tarchin, the representative of Goshir Gyaltsap Rinpoche, and others, he played a very important role in finding the reincarnation. Among his many accomplishments Akong Tulku Rinpoche authored three books, the first of which, Taming the Tiger, has been translated into 17 languages. He also presented several papers on Buddhism, medicine, charity and therapy, around the world. 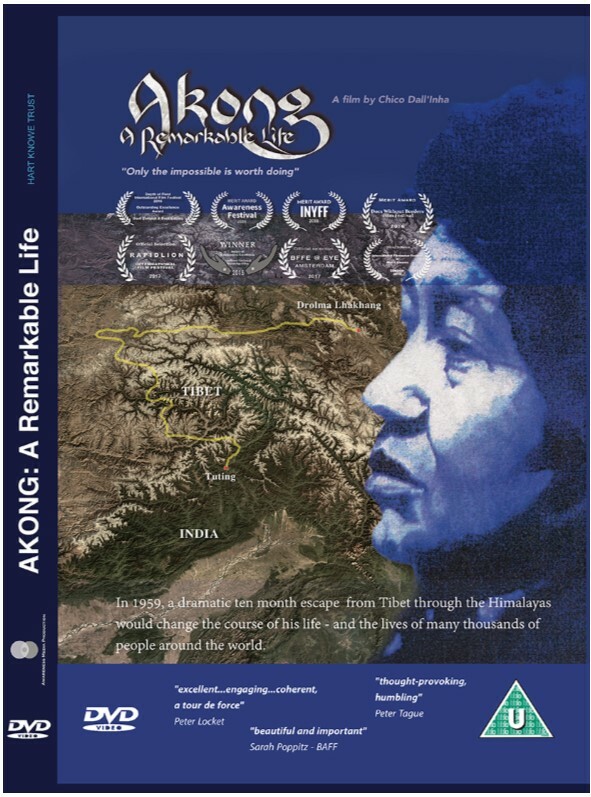 Akong Rinpoche’s achievements have been formally recognised through numerous awards and honorary positions. In 2011 Rinpoche was chosen as a recipient of the “60 years, 6 people” accolade, in which the British Home Secretary honoured former refugees who have made an inspiring and meaningful contribution to the UK. In May 2014 his life and activities were the subject of a conference held at Oxford University, where international speakers outlined the many benefits which his work has brought to different areas of the world. Choje Akong Tulku Rinpoche was a guiding light in the transmission and preservation of Buddhism. His work has been profoundly influential in establishing Tibetan Buddhism’s place in Western society and culture. Rinpoche died in tragic circumstances in Chengdu, China on October 8th 2013. He left behind a vast legacy of work which is now being diligently upheld by his followers across the world.